Unblock poor quality print head. After 18 Years ! 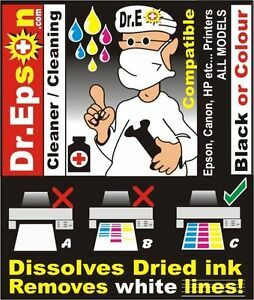 As professional recyclers we have recycled most makes of Inkjets ! will need to be soaked overnight. With MORE THAN 100 FULL COLOR photos. To help YOU if needed.